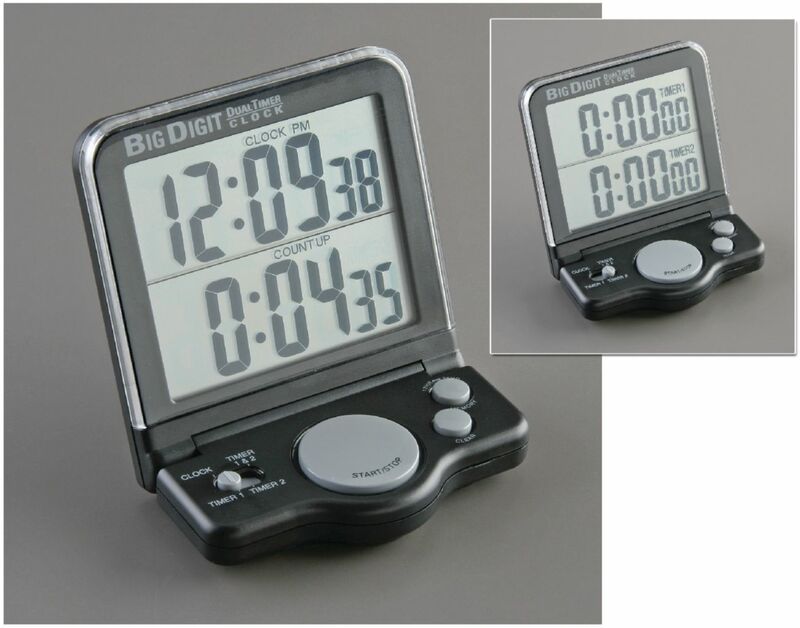 With its large 8 x 6 cm face you can read this timer from across the classroom! It simultaneously displays either one count-up channel and a clock, or two count-down channels. All channels have a range of 24 hours with 1 second resolution. It also indicates how much time has elapsed after a count-down alarm sounds and conveniently recalls the last timer setting for reuse. Designed for bench-top use or can be wall mounted. Runs for approximately 2 years on one AAA battery (included).